Let me come to you! I offer training at your home, local park or neighborhood! I have over twenty seven year’s full-time experience and work with any sporting, mixed breed or pure breed that can be high strung, hyper or outgoing. I will teach your dog to sit, stay, heel, come when called on lead and off lead. I will teach this inside and outside your home. No more escaping out the door or jumping on guests. I will teach you how to become the leader of your dog and how to master the walk. A well balanced dog is a happy dog. 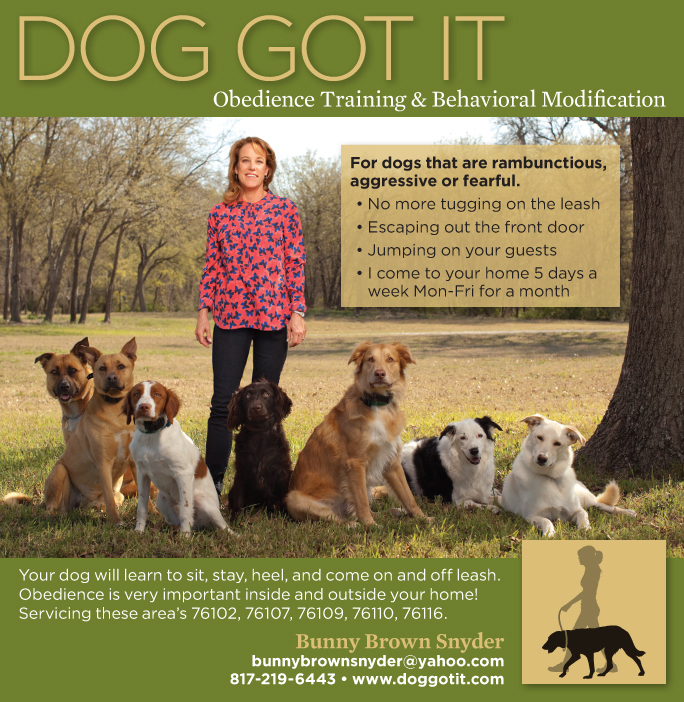 I can teach you how to house break and give you tips for a better behaved dog with your family and friends. My program is a One-Month Program. I come to your home five(5) days a week for one month. I train dogs that are six months and up in age. At the end of this program you will know how to handle your dog with confidence in a calm assertive way. No more tugging on the leash or running away- just fun and enjoyment! A professional bird dog trainer and breeder, Bunny Brown knew from the time she was in 5th grade that she wanted to train dogs for a living. “I grew up with horses and dogs, and I’ve never had a normal job,” she said. 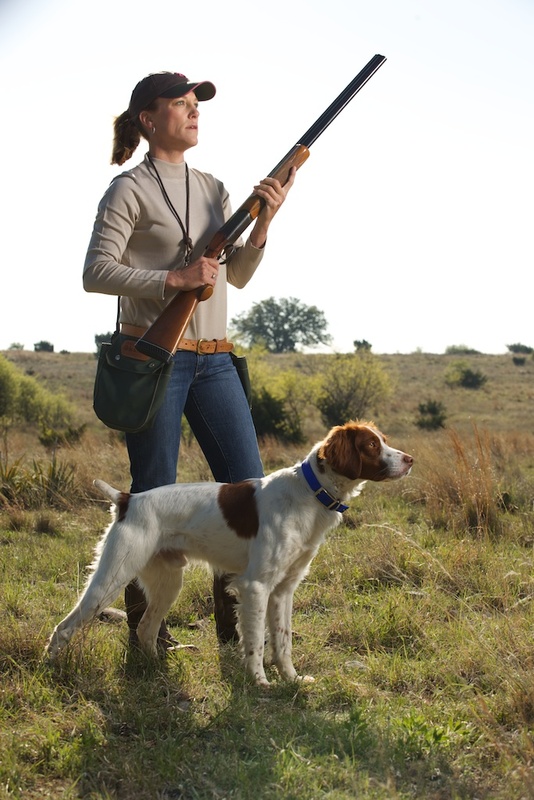 Brown, who lived in Granbury and trained at the 26,000-acre Diamond H Black Ranch, describes an ideal Brittany All Age dog as “having the ability to run big and stay out to the front, to go to the correct objectives to find wild birds, the stamina to run over one hour hard and wide, class, style and manners around their birds, and the ability to find enough birds. Their ground speed and classy style catches a judge’s eye,” she said. My wife and I have a 4 yr. old Carin Terrier (Rosie) and a 4 month Carin Terrier mix S (Bud). Rosie has had training. She did very well, with the exception of leash training. She does run off when she gets out to the front yard. Leashed, cars, and people walking with their dogs, she goes wild. Inside the house and our fenced backyard she does great. Does bark excessively when doorbell rings and at people walking in the street. Bud is a puppy and obviously is not house trained.